I've created a few posts recently, and taken part only lightly in some of the conversations occurring here, but I really want to know, when are we going to get the product? Just tell me, what is the current ETA. I've got my Oculus Touch, now I just need my Omni. I just want to create my Youtube Video with the Omni. Twitch, Let's Plays, I want to exploit the product for its media viability. 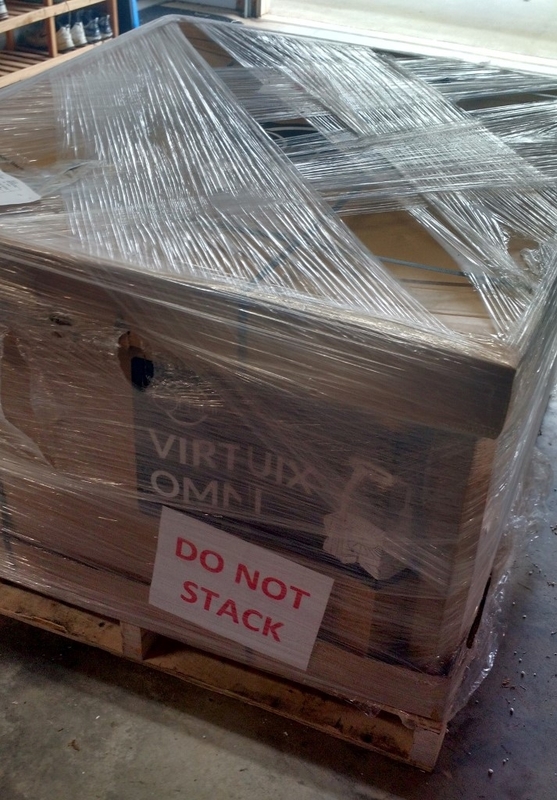 Hi Gleamingsands, when we get through this refund phase, our team will start linking each U.S. pre-order to a container in our production schedule, so that we can start giving shipping estimates. These will still be subject to change (production is still not entirely predictable), but at least your sequence in line will be fixed. This is all we have wanted for SO long now just to know what place in line we actually are instead of knowing backer #600 something. Any ETA on when this of linking will happen or how we will get this information? I assume by Email as you link them maybe? Hi DanteM, we are heads down in the weeds with our Refund Program until Christmas, but we'll start tackling this after the Holiday break. Grand. I'm excited. 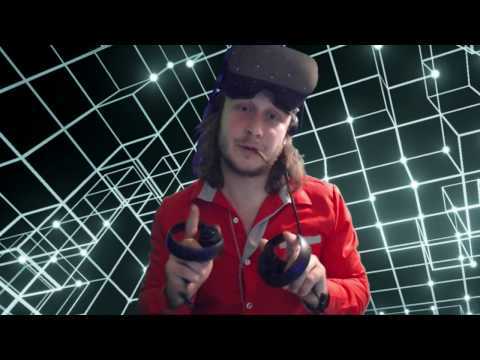 In the mean time guys, check out this video, VR's Oculus touch was the most beautiful thing I've ever experienced. Just got my email today about shipping arrangement!! @CheezWiz You lucky sun of a ****. Mind sharing how much shipping is going to run? Shipping to me, I'm pretty close to Texas as the crow flies, was $220 for the Omni and the Boom. Im just south of you in Alabama so it should be similar. Now I know why you wanted to know what I had for a set-up. Feel free to PM me and I can throw you some other advice if you're looking to record it for youtube man, I'll even throw in a completely unnecessary featured Youtuber section in my video. congrats! get a timeframe on delivery? Naah, I am not much for the spotlight, or the amount of work you guys have to put into those videos. I am curious about the technology choices for such things though. No word yest on shipping the unit out. I have paid them for shipping though. Just got word, it will be here next week! Nice. I've actually taken my omni apart to clear enough space to handle the room scale of the various Vive games I've finally gotten access to. It's still pretty cramped (barely have 2mx2m of free space) but I'm still exploring if I can get a long enough USB and HDMI cable to allow me to set up the Omni and Vive in an adjacent room so that I don't have to completely disassemble my Omni for Roomscale access. nice you are #40 I'm #614 so only 574 possible orders between us !!!! Nice to know that its finally happening. I'd like to know if they are finally done double checking units as Im a preorder and not a backer. Ill realize my dream of playing Vanilla WoW in VR with the Omni one day. @GreyAcumen mail me your omni if you are not using it. Final delivery company called. Will be here tomorrow! I bet a bunch of those had to be foreign orders that were cancelled. So I would guess 300 between. Not long now! 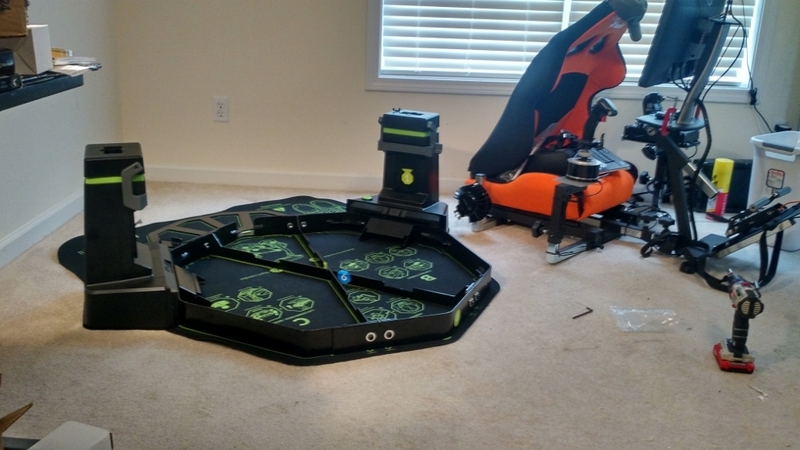 @Xain - I haven't given up on Virtuix just yet, I've just severely lowered my expectations and I need to clear out space for where I plan to try setting it up. Also, you just said you're a pre-order, so you should get yours eventually. If I'm going to ship mine to someone else it will either be to Gabe Newel or someone who pays me massive amounts of money to cover not only the shipping, but my original purchase and the time I've spent on this whole deal. Which is how much @GreyAcumen , as a pathfinder what has your contribution been? Just curious. @Nossforra2 - It's hard to say exactly what my contribution has amounted to. In terms of what I needed to do as a pathfinder, mostly it was just find some time to play each week and give an update of progress and any thoughts about how the quality was holding up. Mostly I reported a few hardware issues with the model I received. I made a few suggestions for how to make the tracking more intuitive, and what options should be added, such as including handicap support to allow people to use the unit like a giant simulated trackball if they only have one leg, but I'm not sure if any of those suggestions are ever going to get implemented. The most annoying part, besides the disappointment over the current arcade focus, is just how much more open my room is now that I've disassembled my Omni. Hopefully the alternative location I have planned for it will be more out of the way. Even though it doesn't need as much room as Vive's Room Scale requirements, you do still want enough space to extend your arms out safely in all directions, and once you put the Omni there, you can't use that space for anything else. I actually took some screenshots of the survey page with some of the suggestions I made, but I'd have to double check with Virtuix before I shared the links to them anywhere. Well, there was something in the contract about a weekly soul harvest to the Demon Xiutriv, but I skimmed over most of that. @GreyAcumen So that's where I've been gaining all of my new powers. I'm an acolyte you see. Will we have access to Hero software or not? Well thank goodness I waited ,my soul is already under contractual obligation..
We're you given the option to add the Boom to your previous order? When I made my order years ago, the Boom did not exist yet as a product.